India’s bullet train will see 70 trips per day, running at 320 km per hour. The fares are expected to be around 1.5 times the existing fare of AC First Class of the Indian Railway’s service between the two cities. In a country where trains are known to be notoriously late and where a 15-min delay is considered “on-time”, the country’s bullet train service plans to say “sorry” to each and every passenger in the unlikely event of the train being delayed, even if by a couple of minutes. 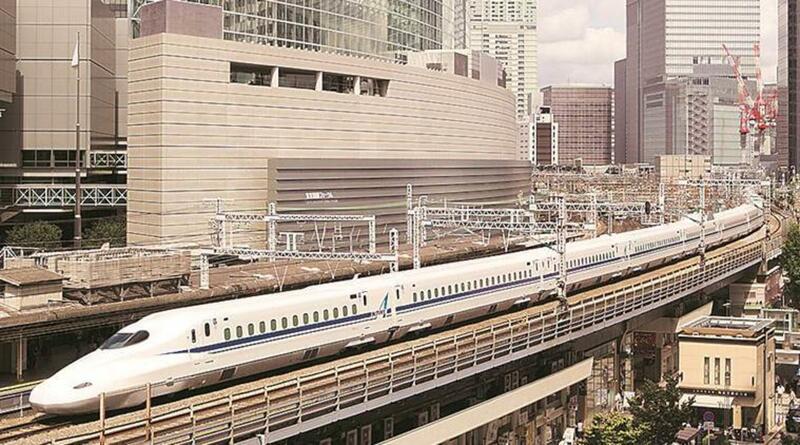 National High Speed Rail Corporation (NHSRCL) has decided to incorporate this feature from the customer service manual of Japan’s Shinkansen bullet train network, which is being emulated for the 508-km bullet train service between Ahmedabad’s Sabarmati and Mumbai’s Bandra Kurla Complex. “We will apologise to our clients. We will also issue a public apology in the train, at stations, if we are delayed. This is the Shinkansen culture we aim to imbibe, wherein delay by even a minute or so is considered a delay. We will also explain the reasons for the delay to our passengers,” NHSRCL Managing Director Achal Khare told The Sunday Express. However, unlike the Shinkansen, NHSRCL will not issue delay certificates. In Japan, the Shinkansen issues such certificates to commuters who can use them at their workplaces to explain the reason for turning up late. “We will not issue delay certificates because certain things are fundamentally unique to Japan and there is a difference between the two countries and their culture,” he said. The Shinkansen is said to have once apologised for being 20 seconds early. Indian officers visiting Japan have been tasked with studying the Shinkansen — the way the system interacts with its customers and the many features that have evolved over half a century — and take notes that will help shape the Indian bullet train’s work culture. Crowding or aimless loitering on the platform, as it happens in Indian stations, will not be allowed either. It has been decided that each ticket holder will be allowed access on to the platform only before a certain time of the train’s departure. “The access control features will have bar-coded tickets that do not allow entry onto the platform before a cut-off time. If people want to wait, we would prefer they wait at our commercial circulating areas,” he said. Even after over 50 years of service, the Shinkansen sees an average delay of less then a minute a year.